Olympic gold medalist, Michelle Akers was born on February 1, 1966 in Santa Clara, California. 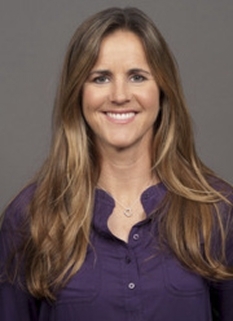 Akers is a former lead soccer player who played on the historic 1999 Women's U.S. World Cup victory. She is a member of the National Soccer Hall of Fame. Michelle Akers was a three-time All-American from Shorecrest High School in Seattle. Akers then attended the University of Central Florida where she was a four-time All-American, was Central Florida's Athlete of the Year in 1988-89, the all-time leading scorer in UCF history, won the Hermann Trophy in 1988, and had her #10 jersey retired by the school. She played for the first-ever U.S. Women's National team on August 18, 1985, a 1-0 loss to Italy and scored the first goal in the history of the program three days later against Denmark, in a 2-2 tie. Akers scored 15 goals in 24 games for the U.S. from 1985 to 1990 before scoring a team record 39 goals in 26 games in the 1991 season alone. Akers was also the lead scorer in the inaugural FIFA Women's World Cup in 1991 in China, scoring ten goals, including five in one game. This led the U.S. Women's Team to the first world championship, by defeating Norway 2-1. Akers scored both goals. 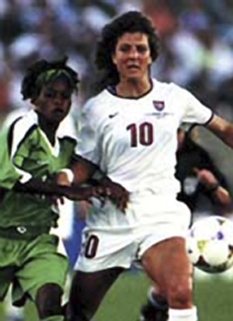 In 1996, Michelle Akers was again a member of the U.S. Women's National Team at the 1996 Summer Olympics in Atlanta, Georgia where they won the gold medal. 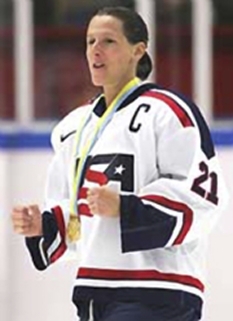 She was also a member of the gold-medal-winning, 1998 Goodwill Games team. On June 7, 1998, she was awarded the FIFA Order of Merit, their highest honor, for her contributions to the game of soccer. 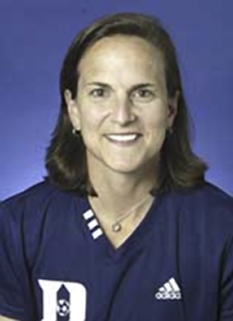 Akers again was part of the 1999 Women's World Cup team, leading to a second World Cup championship. Shortly before the 2000 Summer Olympics in Sydney, Australia, Akers retired from the game as the U.S. National Team's second all-time leading scorer (behind Mia Hamm) with 105 goals, 37 assists and 247 points. Since her retirement, Akers has continued to promote the game of soccer and has written several books, including one that documents her battle with chronic fatigue syndrome. In 2002, Akers was voted FIFA's Woman Player of the Century, an award she shared with China's Sun Wen. In 2004, Michelle Akers and Mia Hamm were the only two women named to the FIFA 100, a list of the 125 greatest living soccer players selected by Pelé and commissioned by FIFA for that organization's 100th anniversary. Also in 2004, Akers was inducted, along with Paul Caligiuri and Eric Wynalda, into the US National Soccer Hall of Fame. Michelle Akers currently lives with her husband and two-year old child in Chuluota, Florida and just northeast of Orlando, Florida and dedicates herself to rescuing horses. DISCLAIMER: PFP Sports Talent Agency does not claim to represent itself as the exclusive agent for Michelle Akers. PFP Sports Talent Agency is a booking agency that represents organizations seeking to hire pro athletes and sports personalities such as Michelle Akers for speaking engagements, personal appearances, product endorsements and corporate entertainment. Fees on this website are estimates and are intended only as a guideline. Exact fees are determined by a number of factors, including the location of event, the talent’s schedule, requested duties and supply and demand. PFP Sports Talent Agency makes no guarantees to the accuracy of information found on this website and does not warrant that any information or representations contained on this website will be accurate or free from errors. We are often asked how can I find out who is Michelle Akers's agent? To find Michelle Akers appearance fees and booking agent details, you can contact the agent, representative or manager through PFP Sports Talent Agency for speaking fee costs and availability. PFP Sports Talent Agency can help your company choose the ideal sports personality for your next marketing campaign. To hire Michelle Akers for an appearance, speaking event or endorsement, contact Michelle Akers's booking agent for more information.